Plain and simple: Our racing wraps and race car graphics win a best appearing car award in at least one series, every year. Asphalt to dirt: our designs stand out. Period. Our graphic designers work hard to create awesome racing wraps that fit current design trends, and look as amazing up close as they do on the race track. We’re well known in Ontario’s racing community for our ability to create awesome looking racing wraps. Our race car designs win at least one “Best Appearing” award every year. Potential sponsors want to look good. 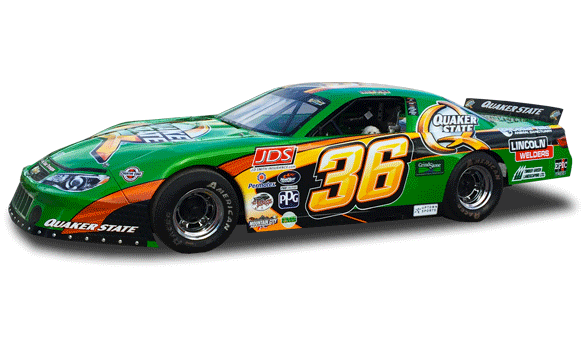 A professionally designed race car wrap helps attract more sponsors, and impress your current sponsors as well. 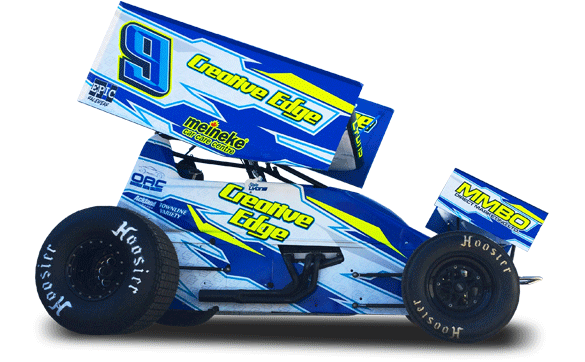 Our professional racing wraps designers stay on top of the latest design trends, to make sure your car stands out in the field and looks current and up to date. It’s racing. Wrecks happen. We keep your race car wrap designs on file so that we can provide you with the patches you need to hide or repair unsightly damage. During our 25+ years of business, one thing has remained the same: we do a lot of racing wraps. Our professional designers have perfected the craft of creating awesome race car designs, which is proven by our numerous “Best Appearing Car” awards. We design racing wraps for vehicles of all types, from asphalt to dirt, from a go kart to a full-size stock car. It’s not only you who looks good, either. Your sponsors look good, too– and they like that. It’s important that you put making your sponsors look good a priority. It means more exposure for them, and more sponsorship dollars for you. Your race car isn’t the only thing that should look good. 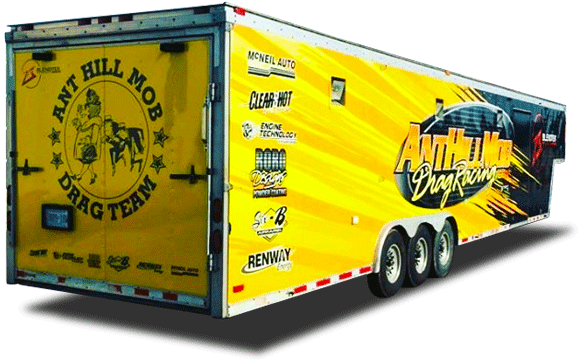 Give yourself and your sponsors more exposure by wrapping your trailer, towing vehicle, and pit cart to match your race car and/or personal brand. We can wrap as much or as little of your race car, truck, or trailer as you want. 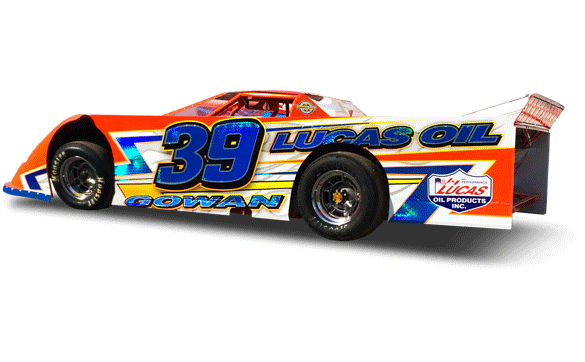 Full racing wraps, partial racing wraps or basic racing graphics are all available. Contact us for a quote!